Open Sun 1-4pm.Welcome to Downtown Danville! 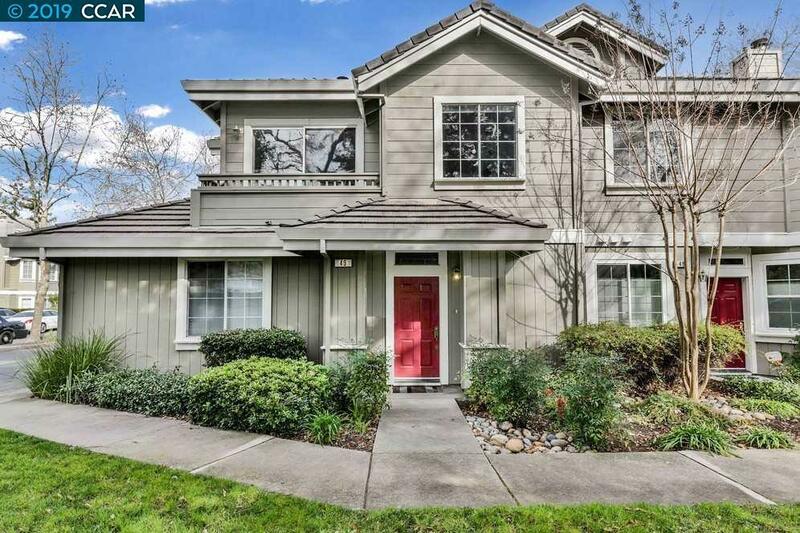 Rarely available, Danville Oaks end unit condo overlooking common area green space! The updated 3 bedroom, 2 bath, 1392 sq ft unit has a custom kitchen with quartz countertops, stainless steel appliances, grand kitchen skylight, LED lighting, and wine refrigerator.The home boasts updated master bath, bamboo hardwood floors in living, dining area and all bedrooms, along with vaulted ceilings/numerous windows for a living experience full of natural light. It has a one car attached garage with interior access.Enjoy San Ramon Valley High School's sporting events from the comforts of your own outdoor patio and home.Located just a few blocks from Downtown Danville, this beautiful complex is close to restaurants, Danville Square shops, award winning schools, the Iron Horse Trail and quick I-680 access.Common area amenities include heated swimming pool & spa, clubhouse, and grass/open common areas in the heart of downtown Danville.Unit HOA fee $416 per/m.